The most spectacular insights in human history. In a nutshell: Super Power, Spoony Bards, and Silverware: The Super Nintendo Entertainment System, by Dominic Arsenault and published by the MIT Press, examines the marketing, technology, and culture fostered by Nintendo between the ’80s and mid ’90s. 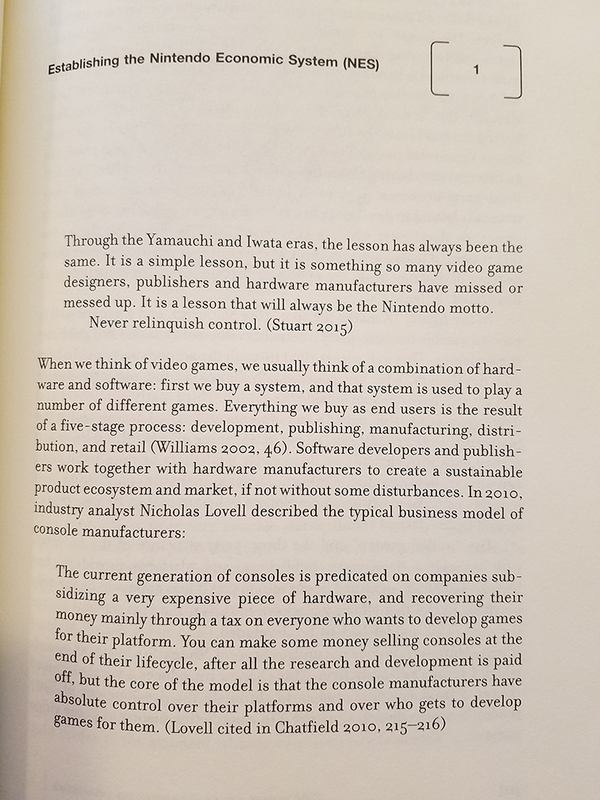 The book argues that Nintendo’s practices during this era established short-term dominance over the video game industry, but these same practices were also precisely what caused Nintendo to ultimately lose its market share first to Sega and then more so to Sony over the long term. I find that this book is extremely compelling and is a must-read for those interested in the subject matter. The Super Nintendo is remembered in video game history as the one of the greatest–if not the very greatest–home game consoles of all time. Nostalgia, in addition to retrospective assumptions based in hindsight rather than the reality of the time, has colored conversations about Nintendo’s place in that era of gaming ever since. But in his new book, Dominic Arsenault, Associate Professor in the Department of Art History and Film Studies at the Université de Montréal, makes a formidable case for how every layer of Nintendo’s corporate policies during and before the 16-bit era were directly responsible for the company’s “fall from grace” in subsequent times. As the book jacket promises, “This is a book about the Super Nintendo Entertainment System that is not celebratory or self-congratulatory.” Indeed, Arsenault examines the Super Nintendo and Super Famicom (of which he makes a distinction) with academic neutrality, presenting the cold facts and trying to offer enough context so that the data will not be misconstrued. So if you are hoping for Super Power, Spoony Bards, and Silverware: The Super Nintendo Entertainment System to be rife with anecdotes and horror stories about working with or for Nintendo, then you will be disappointed. This book features very little of that, because (1) Arsenault is more interested in how Nintendo operated at its highest strategic levels, and (2) few interviews exist about what exactly it is like to work inside the “walled garden” that is Nintendo. Arsenault instead informs this book by way of massive bibliography, including academic research, business literature, and notably hundreds of video game magazines of the era. Thanks for visiting JohnFriscia.com, Version 1.0. This is guaranteed to be the most fun you've ever had on a website written by me. Please explore at your leisure, or figure out what you're getting into by reading the About Me page. Enter your email address to receive notifications of spectacular new articles & stories by email! © John Friscia 2019. All rights reserved. I don’t know what those rights are, but I will tyrannically maintain them. All images on this website are my property or were legally obtained through stock image services, except in cases where images are being used for editorial purposes.